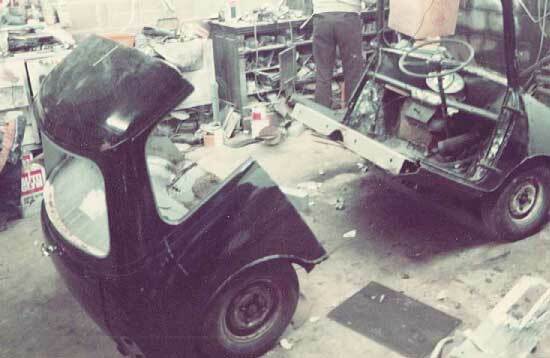 This little mini was cut into 3 pieces and shortened by 2′ 7″, it has a 1300cc engine and could actually wheely in reverse gear. 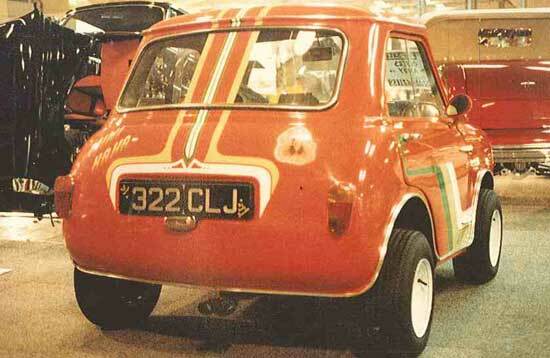 The first of Saunders’ cars to appear on television in England, when it was filmed for Top Gear. 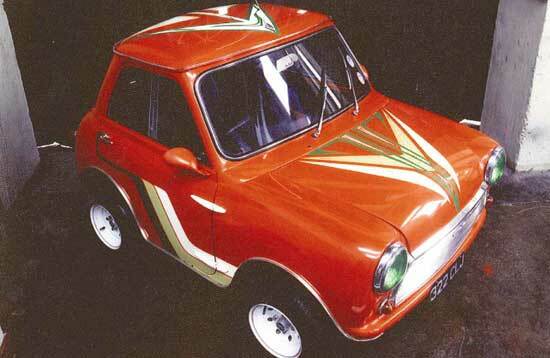 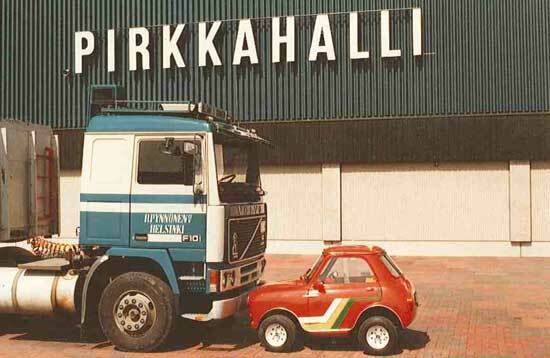 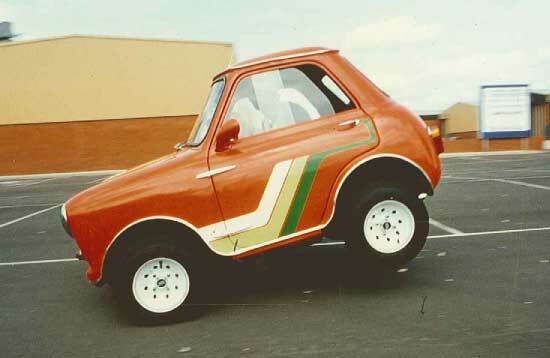 Mini Ha-Ha was sold to a car museum in Portrush, Northern Ireland back in the 80’s, where-upon it was used as a publicity vehicle. 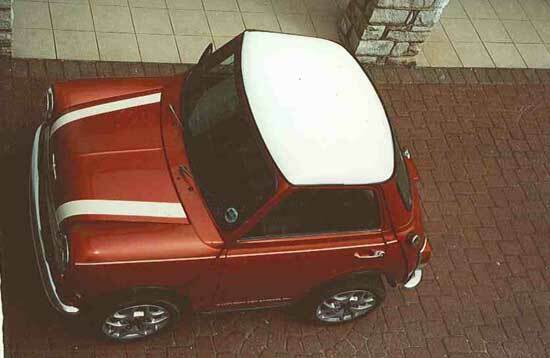 Mini Ha-Ha appears on clothes, mugs, puzzles, pens and a diverse amount of paraphernalia. 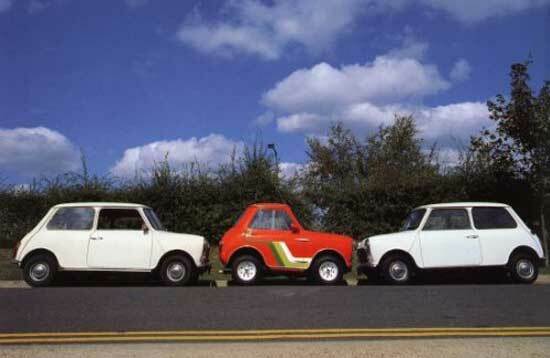 This car has proven so popular that 3 were built in total. 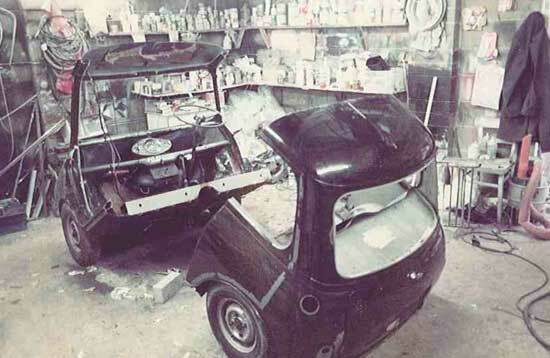 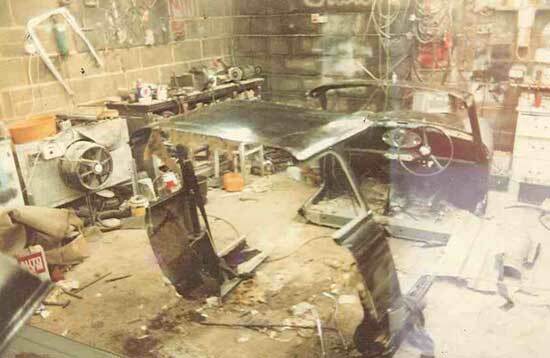 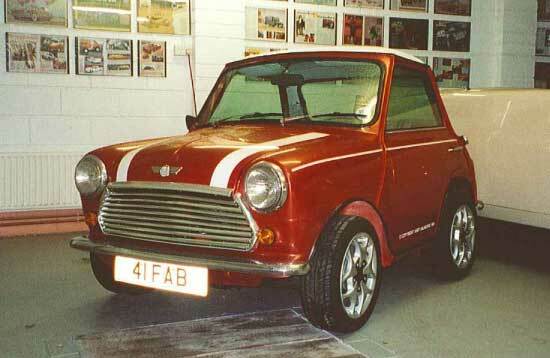 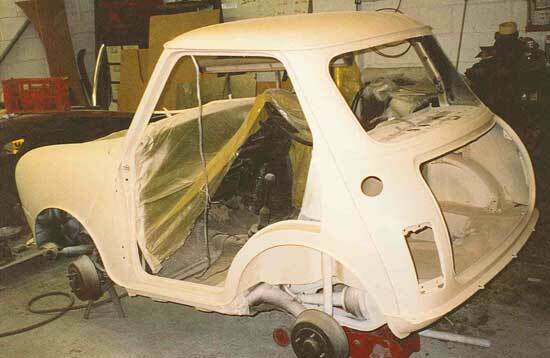 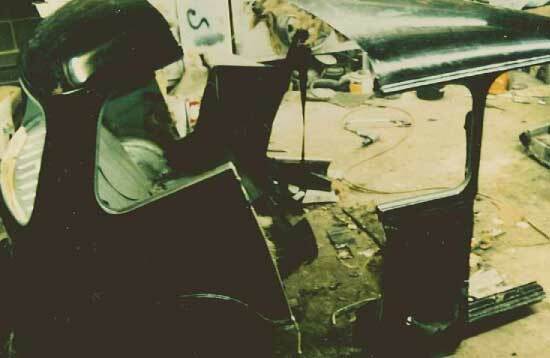 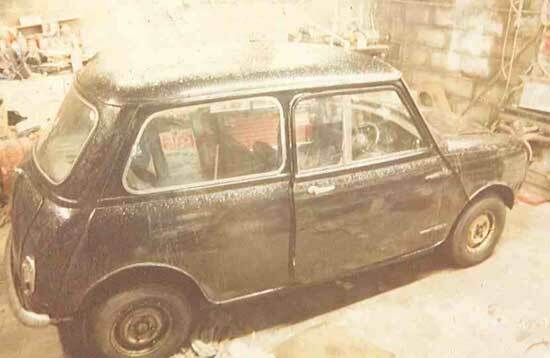 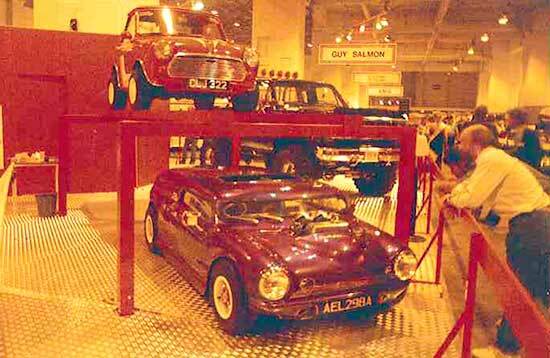 The original Mini Ha Ha is currently being restored in Ireland. 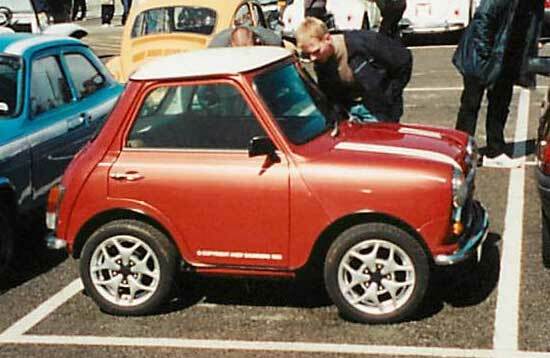 The second lives in Scotland, and the final one in California.